The Only Fitness Camp That Guarantees Results.......... Blasting Belly Fat And Toning: Arms, Thighs and Hips... Better Then Any Old Bootcamp Or Gym...When You Look Good, You Feel Good, and And When You Feel Good, You Do Good!!!!! Feel embarrassed to show some skin...........? Starving yourself on that special day or everyday..............? Afraid to try something on.........? How many cookies or chips does it take to feel better.......? My name is Jean Paul SanPedro and I am not just another Personal Trainer. I have been obsessed in changing my body for the last 7 years of my professional fitness career. Trying any combination of fat burning methods to finally find the one that changed my body to where now I feel great walking around. 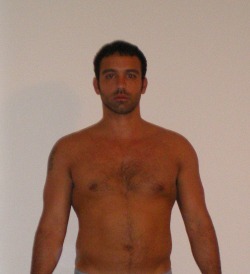 I could not keep the pounds off the majority of my life without losing muscle, it was frustrating . Tried every crazy diet in every magazine and infomercial on the market! Then one night I just stood in front of the mirror and did not blink until I finally thought of the perfect plan. That same night I did not sleep and put together the life changing formula that C.U.T's Fitness Camp was born on.....in 30 days I was a new man and looked better then ever....If i can experience this miracle then get ready for yours to happen right now! "When I started with Jean-Paul, I had never worked out before and was eating pasta with cream sauce 5 times a week. He works with you to make sure you understand the techniques necessary to work more effectively with your strengths and weaknesses, keeping up a great variety of activities so you're never bored. He's always encouraging you and pushing you harder then you ever would on your own.I started at 160, and lost 10 pounds. But I lost like over 4" off my waist." "JP provides killer workouts. By 'killer' I mean you'll see results! be surprised on the performance level you will be able to achieve! Sound good? It's the honest truth from my bald-headed perspective!" "Once I started training with C.U.T. and saw the results I begged them to let me IN!!! I mean look at the difference, now I live on the So Cal beaches and of course without a shirt...."
"I get ready for every acting role or photo shoot with C.U.T. Nations Fitness Camp.....I hate having to figure out what workout I need to do on what day and it seems like I spend hours in the gym.... With C.U.T. 's camp I just show up and it feels like 15 minutes later I am done with a great workout...."
Sale ends this week.... what are you waiting for?? Finally, Thanks C.U.T.............Frustration is gone forever!! C.U.T. Fitness Camps mix Cardio, Weights, Yoga and Fat Burning Methods in to the workouts. Knowing how to combine these techniques will change your body in a way you never thought possible. Ancient personal training routines that are for the monster at the gym named "Arnold"
Become the next citizen of C.U.T. Nation now!!! Special Bonus Gifts If You Start Today! Offer ends in a few days....I'm Ready, How Much Do I have to Pay And How Do I Get Started! If you were to work with me or anyone of my personal trainers one-on-one you'd pay at least $550-$700/month. Even if you worked with a mediocre personal trainer you'd easily pay at least $400/month. And of course always backed by my FREE MONEY BACK GUARANTEE! And That's How Much I Believe In This Program! You Ready? Yes! I Am Ready To Finally Change My Body To What I Always Dreamed Of! Yes! I’m ready for results in 30 days if not I know I wil get my money back! Yes! I'm ready to be pushed and transformed! Yes! I'm ready for this new revolutionary training system! Don't wait any longer, space will run out ..... happens every month where I have at least 10 people wanting to sign up and miss out on this amazing program. P.S. Make this moment the life changing moment you keep telling yourself will come by registering now. In 30 days you will be so glad you made this effort by clicking a finger and just showing up day 1. I promise to take care of the rest................... I believe in you! P.P.S. Remember, your results is MONEY BACK GUARANTEED!